Do I have a thing for eyelet? Umm apparently yes, yes I do ;) Eyelet is such a pretty choice for spring and summer that I just have a hard time resisting. 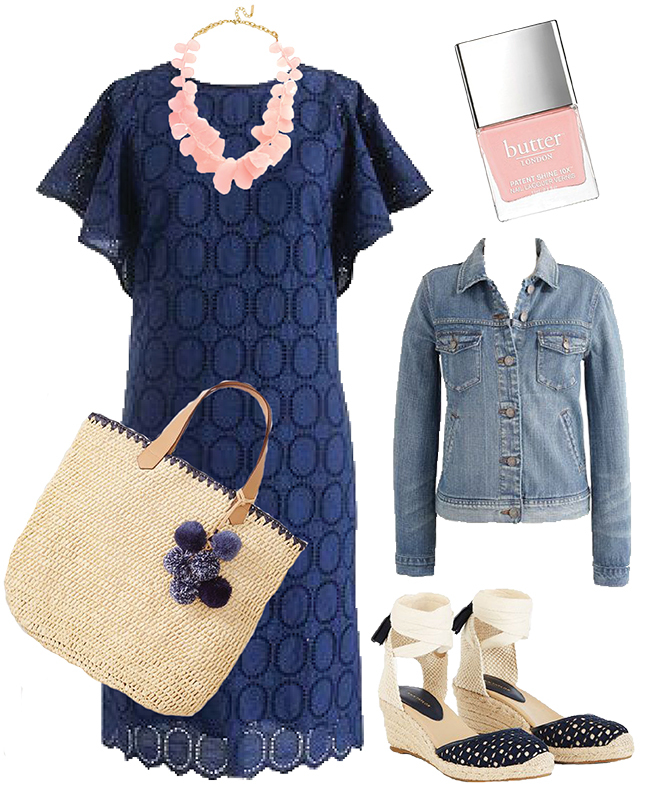 Paired with some pretty ankle tie espadrilles and a fun straw bag and you're good to go for all of your warm weather activities, whether it's a backyard barbecue, brunch with your girlfriends, or a day out shopping. Toss on a denim jacket in chilly air conditioning or when the sun goes down. So dress is so pretty and classic! Love anything eyelet!